Summer is prime grilling season, and there is nothing that says summer more than that outdoor grilled flavor. While we usually concentrate on the meat or fish entree the most, the grill is the best place for your side dishes to cook too. 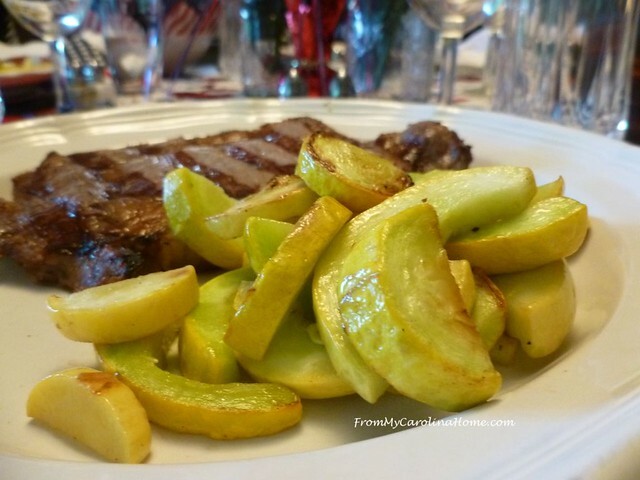 The flavor and freshness of newly harvested vegetables could almost take center stage with the meat as the side dish. 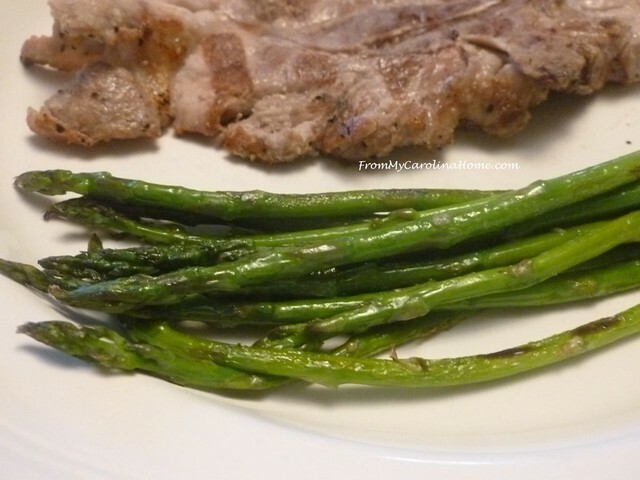 I like just about anything on the grill, with asparagus topping the list. 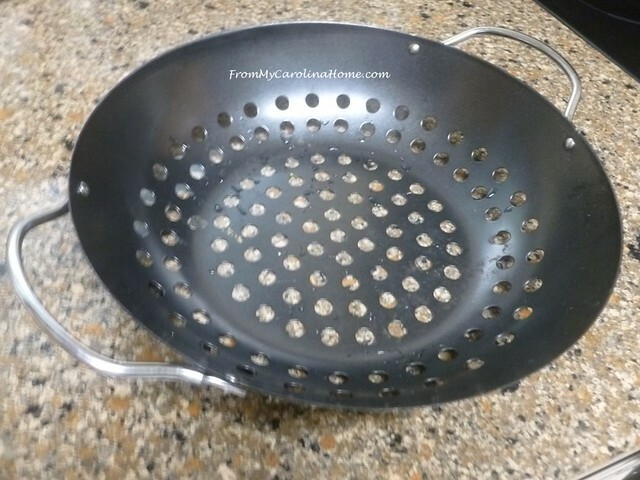 It really isn’t difficult, you just need a grilling basket made of metal with a lot of holes. There are many shapes and types you can get, but this is my favorite after trying several different ones. The flat grill screens tend to let the food roll off when you are trying to turn it, and the grill baskets with long handles are cumbersome and difficult to deal with when they are blazing hot. This Non-Stick Grilling Bowl fits the bill. 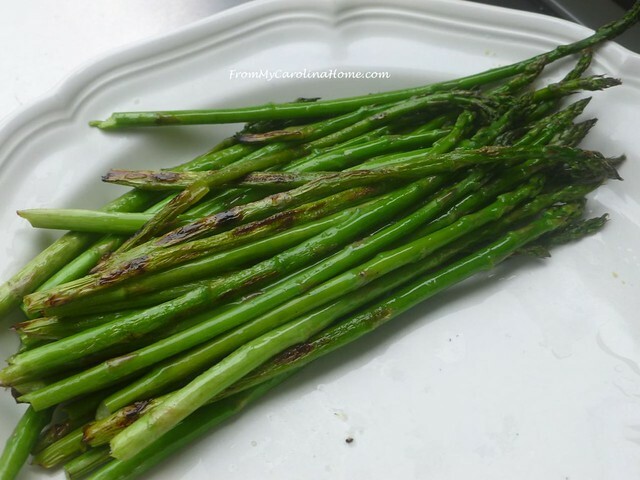 Just place the washed asparagus in it, drizzle with just a bit of oil and toss to coat. 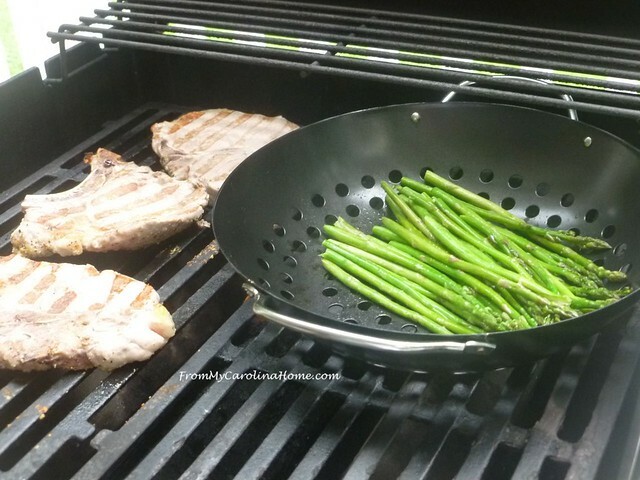 Put the bowl on the grate, right alongside your chops, and grill for about the same amount of time. When you turn the chops, flip the asparagus around a bit to get the other side towards the fire. Be sure you have a potholder to grab the handle, and use a plastic spatula so you don’t scratch the non-stick surface. Everything ready at the same time, and less cleanup. 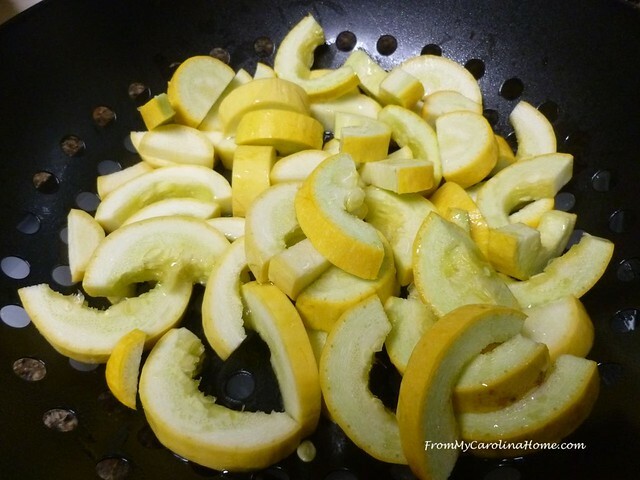 The bowl is just the right size for a couple of yellow squash cut into slices. Again, tossed with just a tiny bit of oil, and add some cracked pepper too. Yum, perfectly charred with that wonderful grilled flavor. It almost wants to outshine the rib eye! Almost. 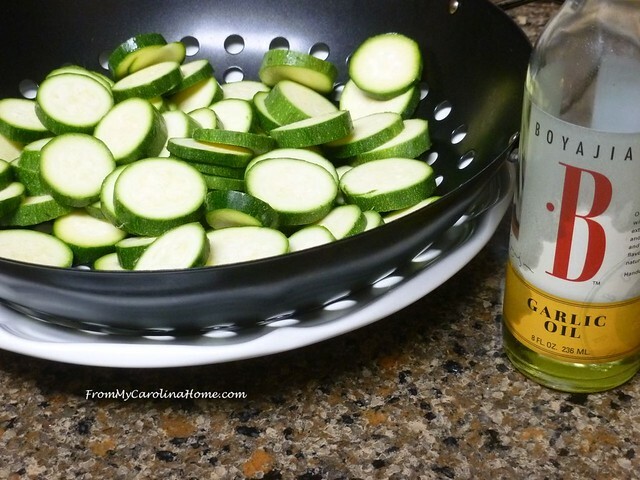 Another evening, I did zucchini. 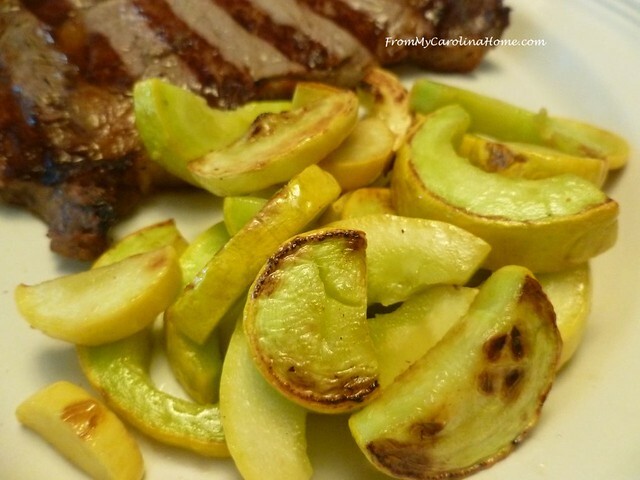 This time I tossed the slices with just a little bit of garlic oil, which added just another dimension of flavor. Placing the zucchini on the grill, you can see I did some cracked black pepper here too. Tossing them around about halfway through the cooking. And here they are fully done. So, which is the star of this meal? Hard to say! No matter which veggie you choose, it is sure to be a hit. 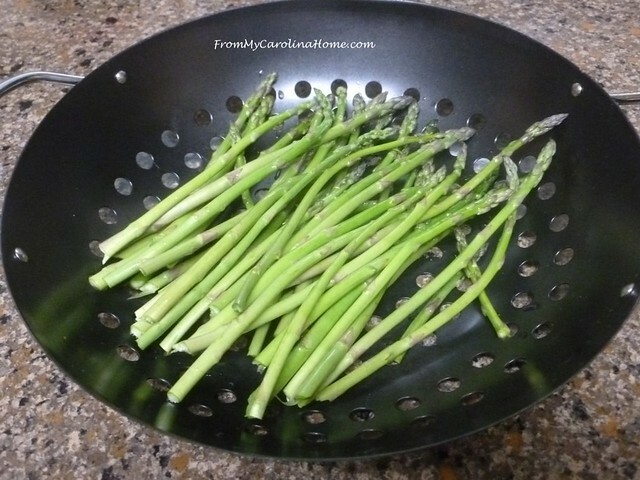 For most squashes and asparagus, the cooking time is about 8 minutes total on a medium high heat. Other tougher veggies like brussel sprouts or broccoli will take a bit longer. Just use a fork to decide when the veggie is done to your taste. I like mine still crisp, but tender. 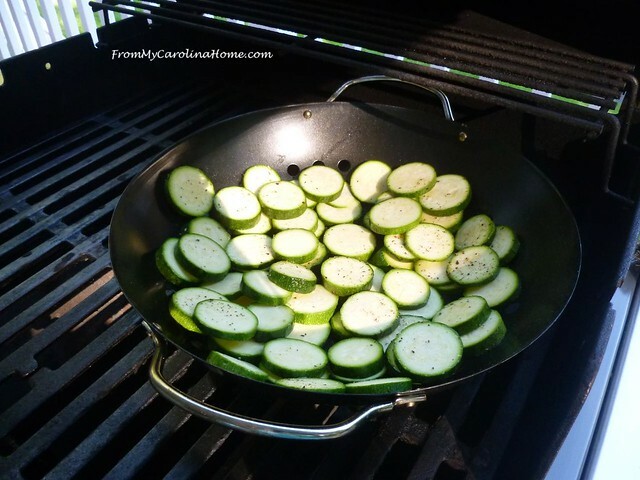 Do you grill vegetables in the summer? What is your favorite? Non-Stick Grilling Bowl at Amazon. 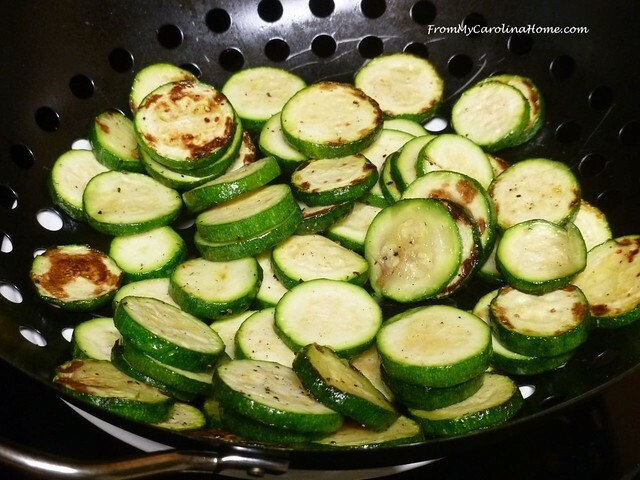 Your grilled veggies look so delicious! I’m going to have to try cooking them that way – thanks for the info about the pan. Hubbs and I do not grill at all. We do not even own a grill. Oh we used to, but now ….. I grill many vegetables in my oven. Those look so good! We don’t do summer squash, but that looks yummy enough I might suggest we have one clump for that purpose next year! Hope we’ll have asparagus next year, it just hasn’t worked out yet, but we did finally get some pretty solid seed heads this year so maybe in the future? Hello Carole; Your cooked vegies at 9am look delicious and are making me hungry! LOL. We do not have a grill, so we use the oven and do the exact same thing. I am sure the taste is completely different though. Thank you for sharing these marvelous ideas! Have a great day! Looks delicious!! 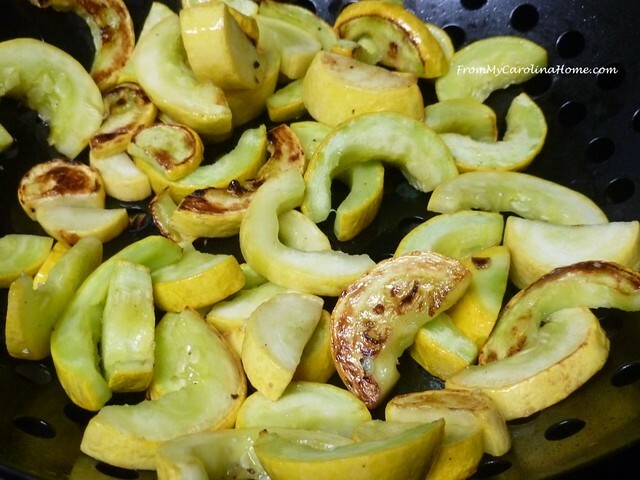 I did not grill, but just yesterday I had a couple small yellow squash that sliced and cooked up in some vegetable oil in the frying pan, along with some garlic and onion. Toward the end I tossed in a few cherry tomatoes that I had cut in half, and sprinkled some pecorino romano cheese on top. SO good! Himself isn’t a big veggie fan, but he does like them grilled. 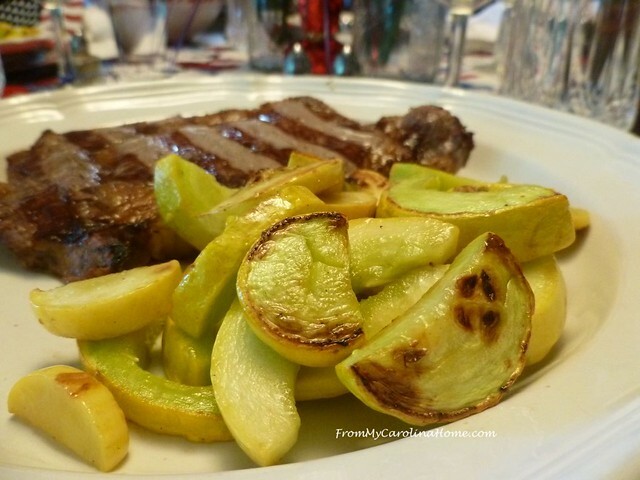 He bought a Foreman grill so we’ve been grilling zucchini, summer squash, and bell peppers. 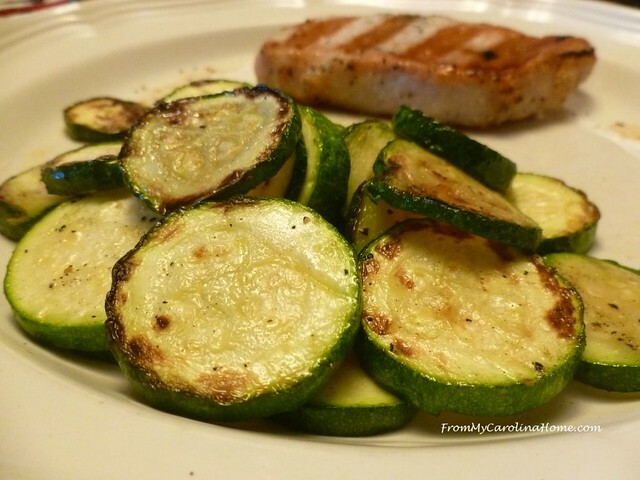 Carole, what beautiful grilled summer veggies. Anything on the grill is a winner! Paul always grilled vegetables, but I never saw a grilling bowl before. 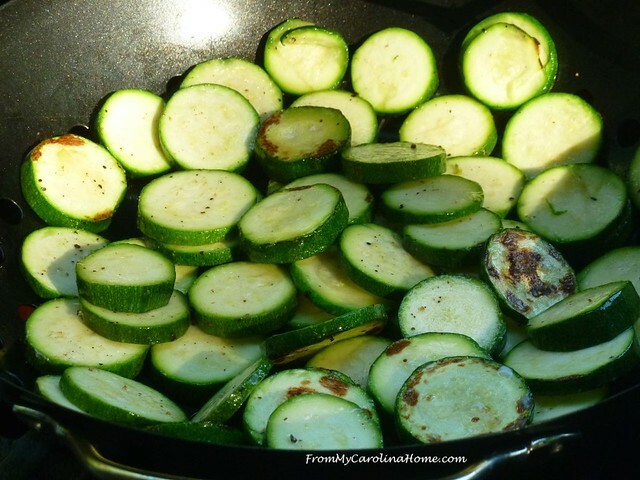 He laid foil over part of the grill and laid out round slices of sweet onion and sliced zucchini or crookneck squash the long way. Nothing yummier, yes with oil and salt and pepper, too. I no longer have a grill.